Every April for the last three years, Illinois has held a free outdoor concert on the Main Quad for all students. The concert is called Spring Jam, and it’s starting to become a tradition. The event is always FREE! It has typically featured a popular artist, and in the past, they have hosted the likes of Post Malone, Timeflies, Hoodie Allen and B.o.B. 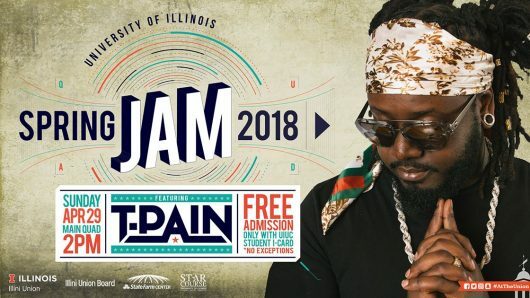 This year, it was announced that T-Pain will be performing on Sunday, April 29th! The event is planned by the Illini Union Board, the State Farm Center (campus’ sports and performance arena) and Star Course, which is the Registered Student Organization that has been responsible for getting musicians to come perform for campus. On the note of Star Course, if you are interested in music or event planning, this is an great organization to join. 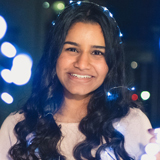 You get to be involved in all parts of the concert planning experience, from selling tickets to choosing what musicians come to campus to perform. Artists from all over the country love performing for Illinois students, and Illinois students often get discount prices to see these artists. Artists simply love college students like us! Check out Star Course’s website here for more information here. For now, students are really excited to see T-Pain, who was a popular R&B and Pop artist when a lot of us were in middle and high school. 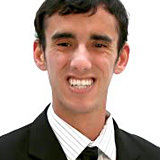 Illini are looking forward to hearing his most popular songs and singing along. There’s usually great weather on the Sunday afternoon performances that these artist have come, so it’s always a fun experience. Also, there are usually hundreds of students that come to the Quad to witness the free concert, and I’m expecting the same for April 29th. I’m totally going to go with all my friends for this awesome experience! Are students from other schools allowed to come? Hey, T pain u did the damn thang in Champaign Illinois. It’s was good to see u in person. Many more blessed performance from you.